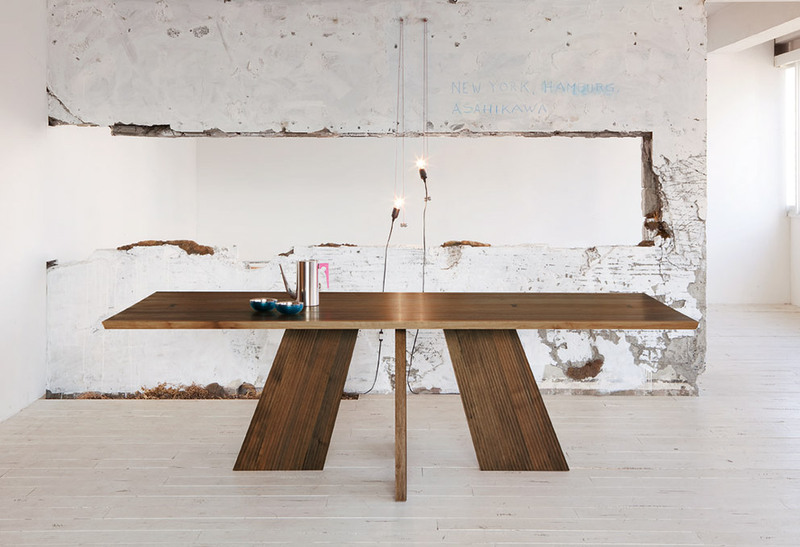 In his youth, Peter Maly was a carpentry apprentice before going on to study interior design. From 1960 onwards he blazed the trail at “Schöner Wohnen” magazine with “Peter Maly’s Sktechbook”, drawings that provided advice on interiors and photo shoots he himself devised. In 1970 he went freelance as a designer. He came to real fame with his extensive oeuvre of living room furniture. 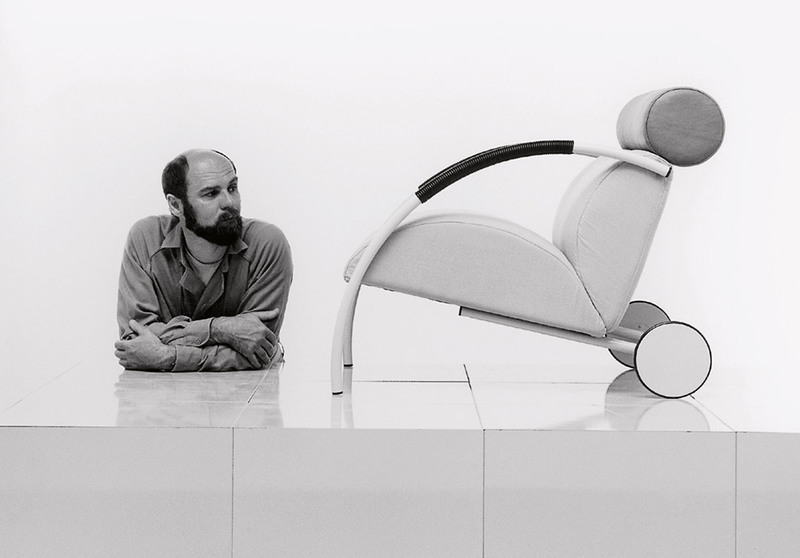 He played a decisive part in manufacturers such as Cor, Interlübke and Ligne Roset emerging as international brands. 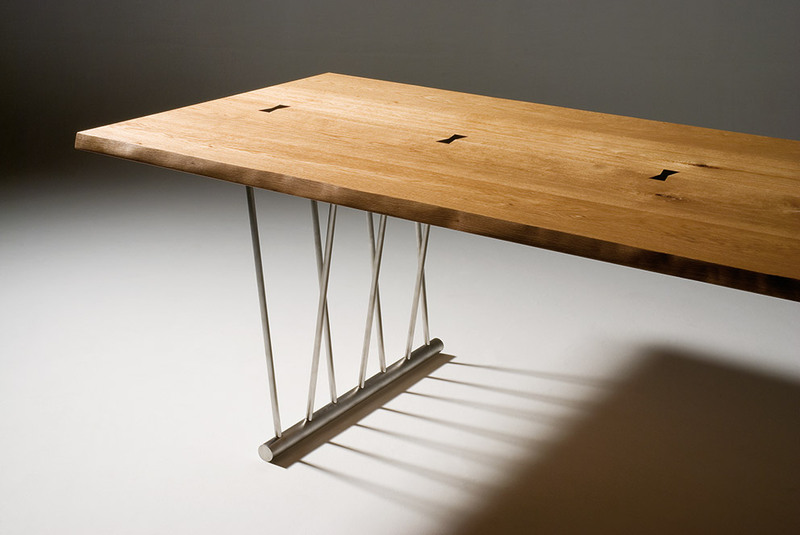 Thomas Edelmann: Back in your days as an apprentice 60 years ago you were busy designing and building furniture. What was the first piece you would consider as complete? Peter Maly: Well much water has since flowed under the bridge. And I’ve learned an awful lot in-between. But the first piece was the one I made for my final exam. It was an elm sideboard with angled tapering legs. For many years it was at my mother’s place, who changed it to fit her own purposes. A few years ago I went into my tiny workshop and turned it back into its original state, removed a layer of Formica on the top and replaced metal square feet with the original shape. I gave it to my son. It’s now standing in his hallway and fits the place superbly. It is clearly a child of the Fifties. The style of the age has always been important to you. And yet you often emphasize how important longevity is. Peter Maly: You’re always a product of your own day, even if I always try to make products long-lasting. I am not always successful but as a designer you are not the only person responsible. There’s the manufacturer and the market, too. The manufacturer says whether he wants to continue producing a piece of furniture although the production run may now be small. There are many positive examples. But there are ever more cases of objects simply being struck off the lists, over and out. Journalists often ask me about longevity: Today I have to say it is no longer something I control. 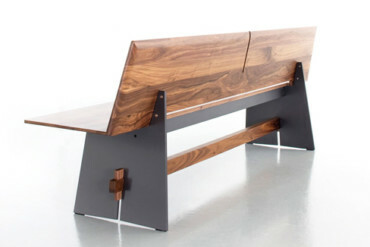 In my exhibition at “designxport” in Hamburg I will exclusively be presenting items that are still being made. There are a few of my products that have overcome the difficulties or have been revisited and turned back into what they once were, such as the “Maly-Bett” at Ligne Roset. At Cor there are still two designs in the collection. There are still in production because Leo Lübke feels that they remain important to the brand. But essentially today the focus is entirely on the numbers sold. Since new things are constantly being launched and the market cannot absorb so much, some things just evaporate. It is a change that is gaining in momentum by the minute. What was the scene like in the 1950s when you started concerning yourself with interiors? Peter Maly: Modernism had not really arrived in Detmold, where I studied. It was strange, the lecturers seemed not to have heard of Bauhaus at all. At any rate, it wasn’t ever discussed. I can only imagine that our lecturers were prejudiced from Nazi days, when it was branded a Communist aberration. 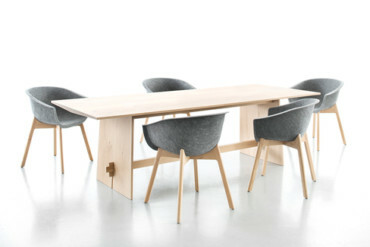 During my studies I became familiar with Danish furniture design. For me it was the greatest ever. Designers like Arne Jacobsen, Hans J. Wegner and Verner Panton and all the other Danish designers were just fantastic and for many years they remained my role models. Let’s take a step back in your biography: In Bohemia, where you spent the first few years of your life, your parents ran a tailor’s business together. For you creativity had something of the absolutely normal about it. Later on, when you were living with your mother as a refugee in Hessen, she helped you take up a creative career. But how did you come to realize that interiors, furniture, could be something for you? Peter Maly: In the beginning it was not that clear. I liked drawing and painting. It was my favorite pastime. As refugees we lived a lonely existence somewhere in the forest, far away from where the action was. We had a lot of time and I spent it putting my imaginations to paper. That resulted in my drawing teacher telling my mother that I was gifted and absolutely had to take up a profession in which I could put this talent to use. The other talents were not yet that developed in me. In math, with a lot of effort, I just about scraped through. I initially wanted to be an architect. I got the Technical University in Darmstadt, one of the few places you take a degree in engineering, to send me the relevant documents. There turned out to be more math than art on the curriculum, so I would have to do something else. It became evident to me that interior design is less technical, that you can draw, paint, make designs, play with colors and so on. So I ended up in Detmold, the only college I was aware of back then at which you could study Interior Design. It was all very regimented there, nowadays Detmolder School of Archticture and Interior Design is well known. A few years ago I gave a lecture there. The Dean introduced me as the faculty’s most successful student. Shortly afterwards you moved to the magazine “Schöner Wohnen”. How did that come about? 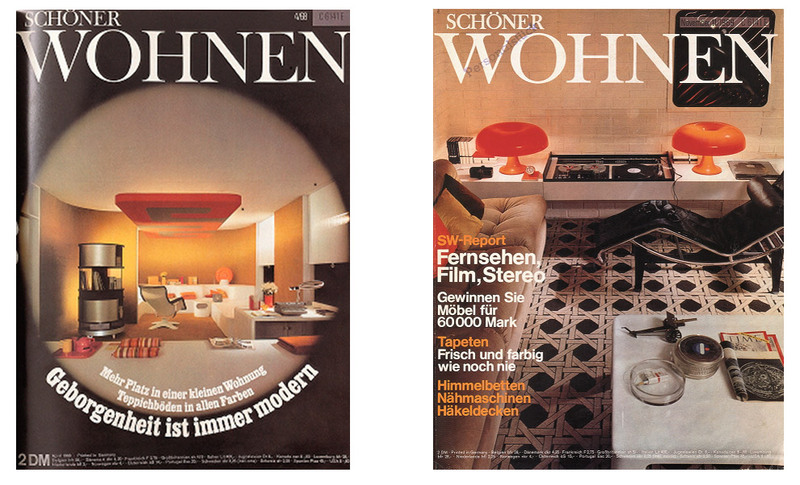 Peter Maly: One of my friends came round with an old issue of the magazine “md” and drew my attention to the “Schöner Wohnen” advertisement. At the time they had only published three, four issues. I had always really enjoyed reading them, and used to cut pages out. I noticed how old the issue was. “You can at least give it a try,” he said “I’ll write it for you.” I applied, and was summoned to Hamburg. They had already interviewed 50 people, none of whom was suitable. I showed them watercolors I had done, with beautiful interiors, which I was really good at, even back then. Ursula Rink, the wife of the founder editor-in-chief Hassow Stachow said: “He’s our man, we can publish this, these drawings.” All of a sudden I found myself in Hamburg. I used to sit together with a few editors, next to a mountain of magazines I would leaf through. After a while I asked the editor-in-chief why he had actually employed me, as I had nothing to do. He answered: “It’s not like at college here, you have to come to me with suggestions.” So that’s how it works! I immediately began designing. I showed Stachow my first drawings for a studio setup. “Yes, let’s go for it.” It was as easy as that. And it all happened very quickly. I was made departmental head of interior design, had lots of staff under me. Three, four interior designers were hired. It was enjoyable work, first with Stachow and then, even better, with Josef Kremerskothen, who actually supported me the most. He helped me a lot and gave me tips, I hold him in high regard. What was your work on the editorial team like? Peter Maly: It was a really interesting period because I was able to try all manner of things. I had a studio I could use, the craftsmen built what I designed. The editorial team was pretty generous. If the editor-in-chief said: “I like the design. Go for it!”, I simply had free rein. And I could correct things as I went along. I looked at the mock-up, saw that this or that proportion wasn’t right yet, we needed a slightly lower ceiling or a slightly different color tone. You can do that in a studio. When working for a client you can never say “I thought it would be different”. Which is why it can remain incomplete: on the editorial team I could play around with things until I got them right. And learned a lot in the process. Experimenting for photo shoots was one thing. On the other you were tackling very specific questions from readers. What impact did that have? Peter Maly: Letters from readers played a key role. My regular double-spread back then was called “From Peter Maly’s Sketchbook”. Many people wrote me letters, outlining a problem they had. Usually limited space. Their apartment or room was too small or confined. And any number of functions had to be included. That was too much for most people. I answered the letters and provided a small sketch, too. And one of the editors said: “Hey, we could make that into a feature” and somewhere along it became a double-spread. At first I found that really interesting. I learned that interiors are often a problem for many people. It’s not as if living interiors are per se marvelous. Many people were very uncertain, at least back then. They felt “Schöner Wohnen” was their guideline for interior design and I was the person who was at hand to help them. 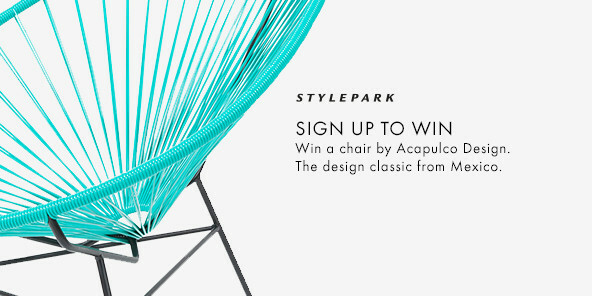 You designed your first furniture alongside the editorial work. You realized them with renowned Hamburg dealer Rudolf Beckmann. What was that like? Peter Maly: I was good friends with Beckmann, we both rented apartments in the same block on the slope in Blankenese. We deliberated how we could join forces. The idea was a series of small easy-to-move furniture items. Back then there was nothing like that on the market. I did the design, he handled the financing and distribution. We had the young painter Michel Dupont on board, who applied the Pop Art decorations. We said to ourselves that it had to be fun. Rudolf Beckmann soon realized his store could simply not handle the distribution. Fortunately that was exactly when we met Hans Könecke, founder of Tecta. He liked the series and took on the production and distribution. For many years it was a great success with Tecta. 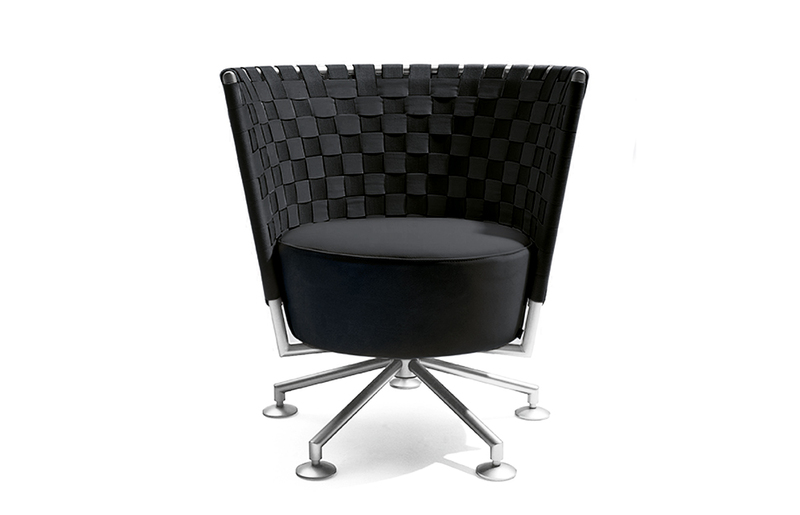 When we exhibited the items in Paris at the furniture fair, popular singer France Gall bought the entire collection. That was how my link to Tecta came about, and it became even stronger when in 1972 Axel Bruchhäuser took the company over. He is a businessman, but also a Bauhaus fanatic, a collector and scholar. I had countless discussions with him and learned an awful lot. He showed me countless originals, familiarized me with the ideas of guys like Mies van der Rohe, showed me design sketches for the Barcelona chair and its predecessors. He has a fantastic archive. In 1970 you went freelance as a designer. “Schöner Wohnen” was initially a key client. What defined the interior design segment back then and what was your role in it? Peter Maly: In the beginning I really wasn’t a designer. “Serie 1” with Beckmann was an exception. My main work was of an editorial nature and designing catalogs and ads. Back then, the kitchen industry was very interested in presenting beautiful interiors. They commissioned me to design their staged photos. Ads were key back then. With the knowledge gained from “Schöner Wohnen” I knew how to work with photographers, how to get the lighting right, something that was not the norm in the ad industry back then. It was a great period. How did you start designing products? Peter Maly: When I was doing fewer staged photos I had some difficulty finding a style of my own. I felt a bit like a chameleon. I was able to come up with a solid wood kitchen just as easily as one with a high-gloss finish, and slowly that confused me. When I started making designs I did not really know who I was. What did I really want to achieve? You concerned yourself with historical currents such as Vienna Modernism, specifically Josef Hoffmann, and with Bauhaus? Peter Maly: By the 1980s I knew who I was. In the 1970s I was still searching. I really studied Hoffmann. Above all it was revisiting Bauhaus that helped. I felt most secure there. It actually is my world. 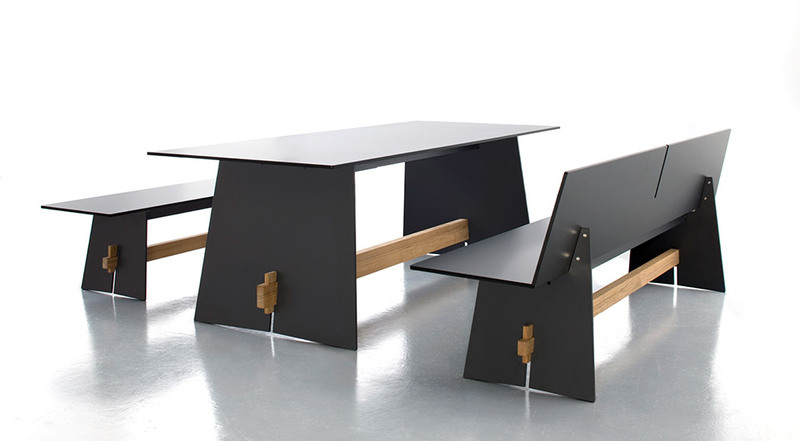 I realized that I cannot make a better chair than the cantilever, which is perfect. So why should I simply create a new one? Working together with Cor I found my own way. That’s where I designed the first really good product, ones I would still champion today. The fact that many are no longer made doesn’t have to do with the unit numbers, but with the specifics of manufacturing and logistics. Today, you have to procure 500 frames at one go from a components supplier. That’s a hefty investment. As a result many things simply disappeared over night. How did your collaboration with companies unfold? Peter Maly: My first design for Interlübke was “Mutaro”, a chest of drawers with leather handles, and I still like it very much. It had a high-gloss finish with very refined edges, looked very high-grade. Leo Lübke Sr. was head of the company at the time. He know my staged photo work and asked whether they could have me design a program. “Can you do that, too? Are you also a designer?” he asked me. Tecta, Cor and Reim Interline had already brought out some products by me. At Interlübke they held an internal competition. 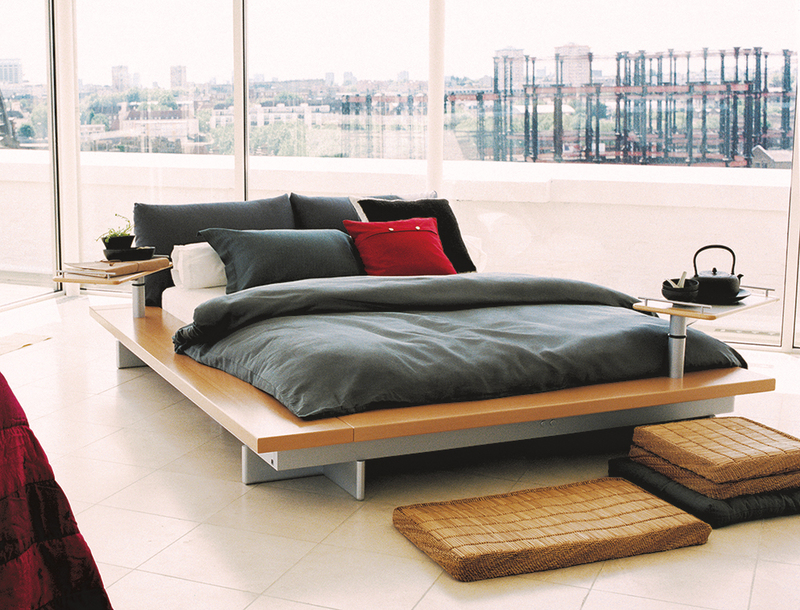 The task: to design bedroom furniture. I was the only person to opt only for a standalone item of furniture rather than fitted furniture. And I won and it was a great success. It sold like hot cakes, a really good product. Yepp, that was the start of designing with Interlübke. 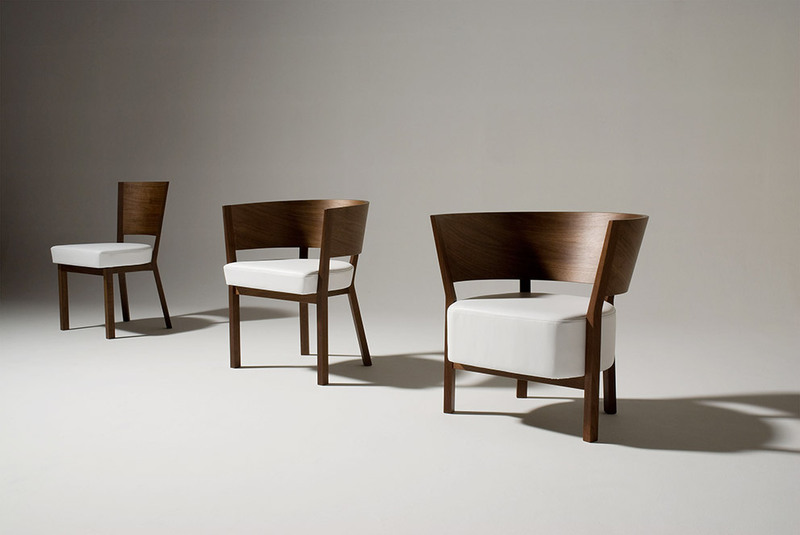 You have also designed various furniture systems. But standalone items was more important to you. How so? 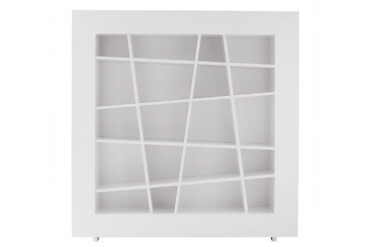 Peter Maly: Systems furniture are always very linear, such items mainly have a single dimension in a room. If the frontal view is right, then all’s good. A standalone has to look good from all sides and must be designed with the surrounding space in mind. That’s what excited me most about it, the sculptural approach, that’s actually the pinnacle of all design work. A chair is a truly beautiful task, as it has to look good from all sides. And it has to bear a load, be functionally coherent, and do justice to any number of different body sizes; it’s a lot of work but always very stimulating. You can sit working on systems furniture for years until it all functions. It has to be versatile, but not have too many parts so that it doesn’t get exaggerated. There’s an awful lot of work involved and you don’t really see it in the finished product. A large elaborate task that I often handled because people constantly request it. Whenever I started out new somewhere the word was: We want a beautiful system lease. That was the case at Behr, too. 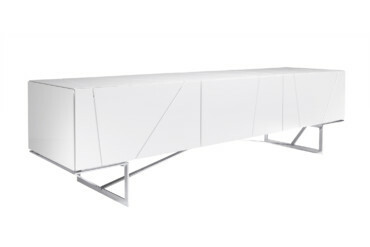 And my work at Ligne Roset also started out with systems furniture. They brought me on board back then because alongside upholstered furniture they also wanted to sell cabinets. That was also the beginning of the Maly bed story, one of the few products that bears the name of its designer, wasn’t it? Peter Maly: When I drove to Ligne Roset the first time I already had the bed in my portfolio as a sketch. I showed them it in the car and Michel and Pierre Roset said: We’ll do the system for sure, but with a development lead time of one year. The bed, hey we can do that immediately. It was created in passing, as it were, and became a classic. After the redesign it is bask as their best-selling bed. The system was presented back then in a hotel on the Côte d’Azur. They said to me: “You create a great exhibition and we’ll invite all our clients to attend.” We emptied the hotel ballroom and then staged it with the furniture. There was such an enthusiastic response that I was then allowed to do whatever I wanted. It became clear that Maly is up to it, what he does is good, and so he can do the trade-fair booth design and the photos, of course, too. Occasionally they dropped by the photo studio and watched what was evolving. They didn’t intervene, it was ideal – and completely unlike Germany where people always want to discuss things to death. And they were international in reach. 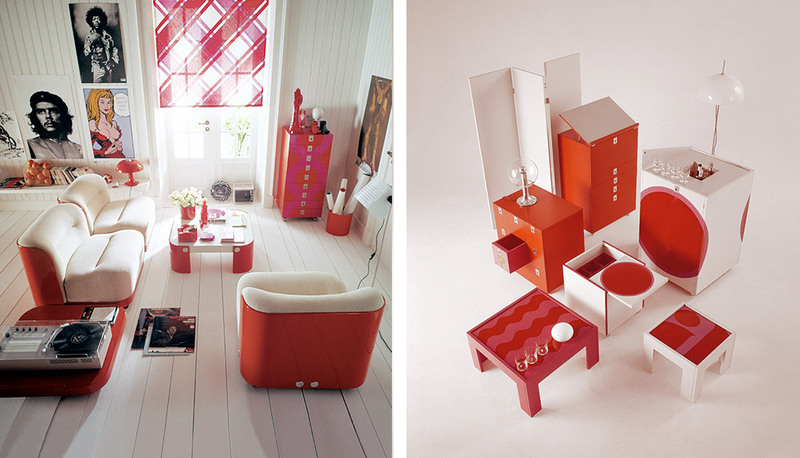 Ligne Roset sent me to Moscow and St. Petersburg, to New York and Vienna, to design the showrooms and trade-fair booths. One idea was to avoid any compromises. 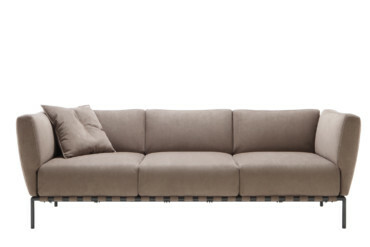 The Ligne Roset style is valid the world over and we never need to adapt it. At one point you had five staff members in your office, but today the partnership with Birgit Hoffmann and Christoph Kahleyss is over and you’re back designing on your own. What are you working on? 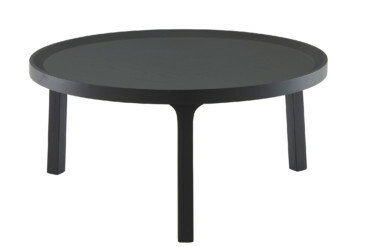 Peter Maly: This year Ligne Roset brought out three new products by me, and the solid wood table seems to be a success. I am still working for Japanese company “Conde House”. I am still the Art Director for Behr and I write a livening-interiors column for Berlin’s “Tagesspiegel” newspaper. I’m looking forward to my exhibition at “designxport” in Hamburg’s Hafencity. I tend to chisel away at refining existing products, but now and again there’s a new chair. Designers simply never stop working.